Do boiled egg whites need to be the most boring thing ever? Possibly not as I recently found out. Food fads come and food fads go, but the one thing that I have seen remain constant over the years is the love dieticians and doctors have for egg whites! 'They are an excellent source of protein,' is what I have been repeatedly. A dietician in Bandra whom I used to go to years back, who is now quite a celeb (not Rujuta D), had told me to stuff myself with egg whites in the morning back then. 'The protein intake in the morning will make sure that you do not feel to the need have anything sweet during the rest of the day,' she said. The theory didn't really work and I didn't lose any weight through her diet plan to be honest. I've seen opinions on egg yolks change over the years with a few from the 'neutral territories' (yes, we've been watching 'Man in the High Castle' on Netflix recently) suggesting that yolks are not quite the criminals they were once painted as. In case you are interested, carbs are the ones who are considered to be the real bad boys by most in health circles these days though to be honest I have no idea what the stand on this will be a few years later. Coming back to egg whites, there's a slight catch to how you are told to have them that I hadn't mentioned earlier. It is not that all egg whites are considered to be part of the superior race. Only boiled egg whites are! Mention egg white omelettes, or the white of fried eggs, and watch the health mafia curl up like Superman faced with a jam jar full of Kryptonite kissed by the dust of white sugar. It's another matter that there are divergent views on whether all oils are as bad as they were made out to be, but lets leave the experts to fight that one out. I am sure that by now you have got my point on how confusing dietary talk can be! What there is no doubt about though, is that boiled egg whites are some of the the most boring things in the world ever to grace one's dining table. They leave behind a feeling comparable only to the sense of ennui felt by a teenager who is forced to go out with his or her parents on an outing with their friends. When advised to go down the boiled egg whites route in the past, I had tried to do so by smearing them with salt and pepper and putting them between two plain slices of bread bread. I tried to have them before heading out to work. Those were some of the saddest days of my life! This time around, when advised to try boiled egg whites by my doc, I was determined to not repeat the dreariness of the past. 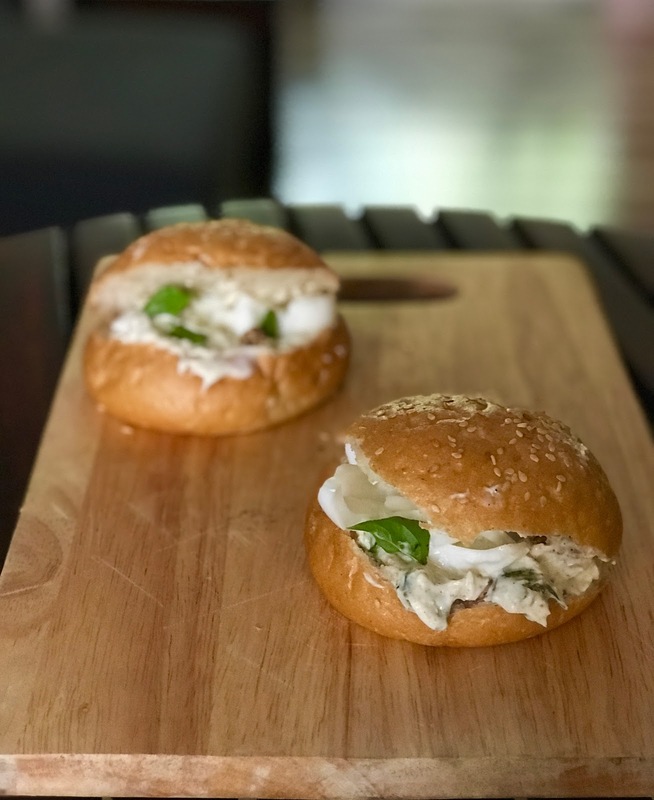 Eating good food is key to keeping me happy and this has spurred me to come up with what I call #LittleJackHornerMeals these days, where I creatively use ingredients allowed to me and come up with dishes that make me feel good about life. I knew that I had to find ways to make boiled egg whites work to and the answer soon came to me. I've been tripping on my experiments with homemade hung curd dips these days. The flavour burst that these dips add to a dish is just spectacular and yet they come with none of the bad press associated with butter, cheese, ketchup, mayonnaise, margarine, jams etc, to the best of my knowledge. How do you make hung curd? That's simple. Place some curd on a sieve or a muslin/ sheer cloth and with a container below to collect the water that drains out from it. Keep it in the fridge and your hung curd will be ready in 4 to 6 hours. Then add whatever you want to this creamy textured, tangy base to make a dip of your choice. The other morning, I added some toasted crushed walnuts and almonds, fresh basil leaves, dukkah (an Arabic condiment which I had bought in a store) and extra virgin olive oil, to hung curd and gently mixed this all together with a spoon, to make a dip. You can use zatar instead of dukkah. Or oregano. Crushed black pepper. Whatever is at home and suits your fancy. I then made burgers for breakfast with wholewheat buns, sliced boiled eggs and the walnut and hung curd dip. A couple of days later, I made a pesto with fresh basil leaves, a couple of garlic cloves, toasted walnuts instead of pine nuts, salt but no parmesan, and extra virgin olive oil in the mixer grinder. I then made a sandwich with sourdough wholewheat pav, sliced boiled egg whites and the basil pesto. If you are off grains, then you could try both of the fillings above as egg white salads I guess. The moral of the story is that dips and pestos can really liven up even the dreariest of dishes. Making these at home means that you can control what goes into them according to your tastes and dietary needs. 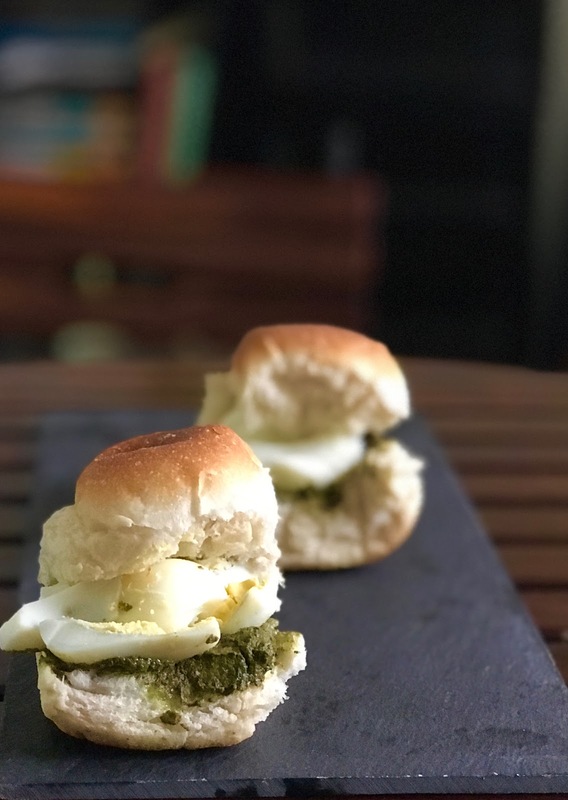 The white of eggs that we get commercially in India hardly have any taste of their own, so it is not that the dips used overshadow their taste when you add them. Yet, you are not losing out on their health benefits as the egg whites still become a part of your breakfast in their fully boiled glory without any of their associated meh'ness. 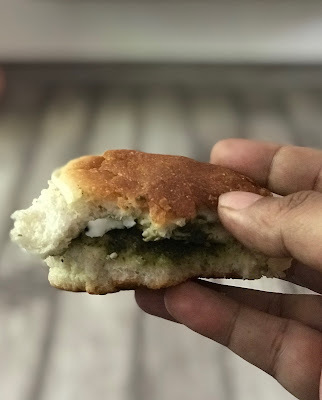 Come to think of it, it is but fitting that dips came to my rescue given that I live in Mumbai which is home to the quintessential green chutney (coriander, chillies, coconut, garlic, sugar and lime) which is used to liven up the toast sandwich of Mumbai. You could say that my experiments are a tribute to this legacy. So who is having boiled egg whites for breakfast tomorrow? PS Taking advantage of the two egg yolks a week one of my doctors allowed me, I had a lovely eggs Benedict at La Folie, Bandra, on Sunday with the slightly overdone poached eggs. The bacon would need some hard negotiations I guess. This post on egg whites is not meant to be taken as medical or dietary advise. Just as suggestions on ways to make them palatable if you do plan to have them. PPS The wholewheat burger bread and sourdough wholewheat pav that I mentioned are both from The Baker's Dozen in Bandra. I order these through Swiggy. Being told to cut down my refined flour intake has made explore their range of breads which are incredibly soft, distinct and delicious. I call for their multigrain wholewheat bread pretty often too and the breads lend their own characters too the dishes as well. No, this is not a paid promotion. As I have said, in the past, I prefer to do it the old fashioned way and will disclose it when the latter happens rather than vice versa.